There are 3 basic strategies. First of all, you can “save up” calories by not eating all day, knowing there will be lots of goodies. This strategy is akin to using a point system, where you save points and use them whenever you want. So you can eat very little during the day and use them all in one sitting if you want. If I go to a holiday party starving, I am AT the appetizers almost before I get in the door. Then it just keeps going all night because there is more a feeling of needing to catch up. To me, starving yourself all day is a form of deprivation, which sets you up for binging at night. It is almost like a one-day mini-diet. The second strategy is just the opposite. Do NOT starve yourself all day long, but instead, eat moderately so that you don’t go to the party totally starving. This is the strategy I recommend most of the time. If you eat moderately during the day, you will not feel deprived when you get to the party. You will be more able to pick and choose. Even though there will be visual cues to eat, you will be more able to eat mindfully, enjoy the food and focus on tasting the foods that you really want. Then you can still have what you want most, and are less likely to overeat. And I don’t mean just having a taste of something, although sometimes that is all that it takes to satisfy your hunger. The secret is trying foods if you really want them, not necessarily finishing them, but really getting a taste so that you don’t feel deprived. I will often take a lot of different foods just because they look so good. But I only eat the ones that really taste good and that I truly want at the time. I try not to eat foods that I don’t really enjoy just because they are there. If you eat mindfully and stay conscious, then eating more of the same thing doesn’t add any more to the experience – it only adds bulk. The problem with most holiday foods is that they are laden with carbohydrates, which sets you up for craving more carbohydrates and continuing the cycle. So make sure you get adequate protein to help control your appetite and get back to eating normally the next day. If you overeat, relax and learn. Use this information to make your choices the next time you are in that situation. Don’t yell at yourself or use it as an excuse to binge. A few holiday parties can be handled quite nicely if you stay calm. Remember that there will always be more chances to eat successfully and feel good about it. So don’t get too down on yourself if you happen to overeat at one event. Being able to disengage from foods you love is certainly a learned skill. It takes awareness and practice. The problem, of course, is that your stomach doesn’t give you the signal to stop eating right away — especially with carbohydrates. AND the food can look and taste so good, that you choose to ignore the signals even if you notice them. So it’s EASY to overeat. Start by being really, really honest with yourself. The truth is . . . even if you are very hungry, it doesn’t take a lot of food to satisfy physiological hunger. Sometimes I feel disappointed when my hunger goes away so quickly. Darn! I was looking forward to eating more . . . but I have also learned to let go. The ideal behavior is to stop eating when the hunger signals go away. You have to be tuned into your hunger/satiety signals. Many people have ignored them for so long, they don’t even think they have them anymore. And you have to be WILLING to stop eating at this point. Here’s something to try . . . I call it the 10-Minute Solution. Serve yourself a small portion on a small plate (tell yourself you can always have more) OR serve yourself a larger portion and be willing to toss it in the middle. Eat mindfully (remember, the goal is to taste every bite) and assess your hunger after every forkful. When you no longer feel hungry, put down your fork, put the plate away and leave the table if you can. Distract yourself – talk to a friend or relative, admire the decorations, go to the powder room, etc. and wait 10 minutes. By then, you should be receiving more signals from your stomach that reflect your true fullness. Remember, you don’t have to feel full, just pleasantly satisfied. And remember, no food is leaving the planet . . .
Oh, I almost forgot – my third strategy? Skip the party! Some holiday parties have simply outlived their usefulness. You go every year and dread it. You have my permission (not that you need it) to do something kind for yourself and skip it this year. Use the time to do something that is more relaxing or enjoyable to you. Oh, and don’t forget to have fun . 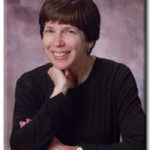 . .
Ca rol Solomon, Ph.D. MCC, is a Psychologist, Master Certified Coach and Certified EFT Practitioner. She is one of the world’s leading experts in using Emotional Freedom Techniques to help people lose weight without dieting, stop binge eating, and reduce emotions, anxiety and stress that lead to the urge to overeat. She is the author of 4 books on Emotional Freedom Techniques, the EFT Tips newsletter, the Binge Eating Teleseminar and the EFT Weight Loss CD. (http://www.EFTTips.com). She enjoys a thriving coaching practice and is passionate about helping others succeed.